Make adorable gift boxes using simple stitches with the Embroidery Gift Boxes Kit from 4M. These unique gift boxes are perfect to share with family and friends! 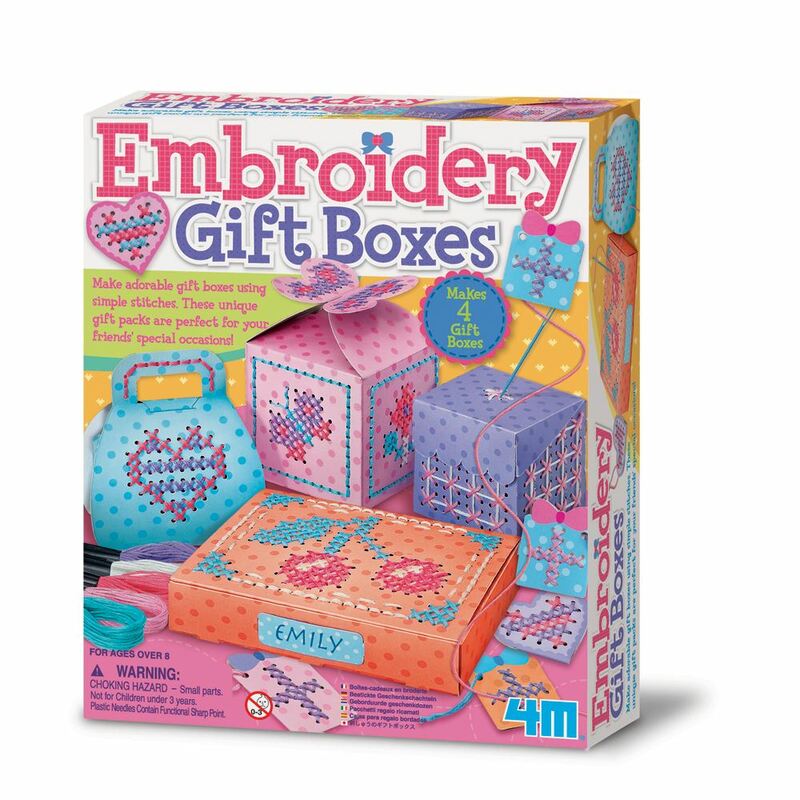 Includes: 4 gift box templates, 2 plastic needles, 5 spools of coloured embroidery floss, tag cards and detailed instructions. Age 5+ years. Distributed in New Zealand by Holdson.